Get a like-new baby grand piano for a very reasonable price. Hallet, Davis & Co. builds high-quality pianos at affordable prices. The 148 is a baby grand in the piano-maker’s Imperial Collection. At 4’10” in depth, it won’t take up much room in your home. This piano has a beautiful stain walnut finish. It is in great condition. It hhas been inspected and is being restored by an expert piano technician. 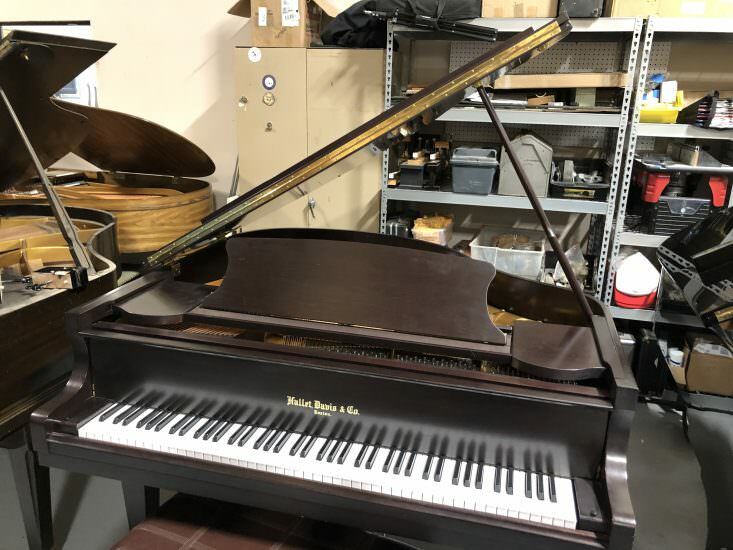 Visit Bruce Music Store to play this Hallet, Davis & Co. and other baby grand pianos. If you want to make this piano yours, you can take it home for low monthly payments. Contact us with any questions you have about this instrument.